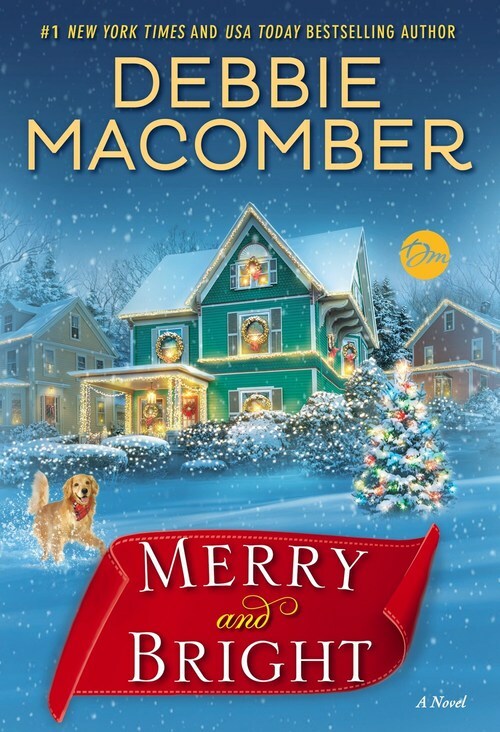 Merry And Bright by Debbie Macomber for SURE is a fun Christmas read. Sure, it’s a little bit cheesy. It’s a little bit on the gentle/innocent side. I actually really liked it though. It had all of the elements that I come to expect and look forward to in a holiday romance except for adult times. However, given the target audience, I expected that. I think the target audience is probably older Christian ladies. Nothing wrong with that, but there are absolutely no racy scenes. Debbie Macomber’s Merry And Bright follows two main characters – Jayson Bright and Merry Knight. Merry is a temp helping out with data entry at this Seattle company that Jayson is on track to basically become in charge of. There is this giant contract that needs to be fulfilled by the end of the year, so they are super busy. Merry lives at home with her parents and her special needs brother, Patrick. They also have this golden retriever dog. Anyways, Patrick and Merry’s mother think she needs a man in her life so they sign her up for a dating website and use the dog’s picture as her profile picture. Jayson meanwhile is way too busy to find a woman. His best friend though shows up to tell him that he is getting married to a girl they went to school with after they reconnected on the dating site. Jayson ends up getting on there and finds himself drawn to the profile with the dog picture. Jayson and Merry begin to connect and chat. Neither one knows that they work together in real life. Obviously we all know how this book, Merry And Bright is going to play out. I AM HERE FOR IT though. Merry and Jayson are both pretty likeable in their own way. I think Merry is just a little bit more likeable. Jayson is kind of a jerk at first, but there’s reasons for it. And well, this book is a super quick adorable sort of read. Okay so there are presents and dating and Christmas parties! And well you can feel this palpable pressure and time crunch leading up to the deadline but also Christmas. It’s not decorating Gimble’s over the top, but it’s there. I’d give this a Christmas obsessed stamp of approval for sure. Thanks so much for linking my review! I’ve never met a Debbie Macomber book I didn’t fall in love with! Sure thing! Her books are just so cozy! I’ve enjoyed the vast majority of what I have read by her so far.